Cranky Fitness: Danger, Holidays Fast Approaching! This guest post is by Terrie Farley Moran, who blogs over at Women of Mystery. She is also a contributor to the new anthology Dying in a Winter Wonderland, which she'll tell you more about soon! Take a look around. The Halloween decorations are gone. A cardboard turkey with a pop out tummy is overwhelmed by the Christmas decorations in shop windows. Red and green mini lights and white icicle lights are beginning to show up on front porches, ready to be plugged in as soon as the last piece of pumpkin pie is gobbled on Thanksgiving night. 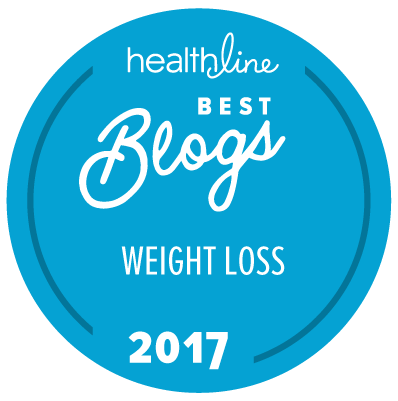 Last year around this time, Merry, who has her own entertaining blog, Sheesh, posted a holiday survival quiz here at Cranky Fitness. I warn you, the test is not for the faint of will power. The accompanying picture of a plate of brownies was enough to get me drooling. If it wasn’t for the fruitcake question, I would have scored a perfect twelve, which far exceeds the perfect four that would indicate I have my holiday eating under control. So, thanks to Merry (and my personal history) I already know that I will taste, and perhaps eat too much of the brownies, the homemade fudge, the pies and every home made cookie in sight. I will avoid only the fruitcake. Since I am sure I’m going to overeat, I can accept, enjoy, and risk rolling back all the progress I have made this year or I can devise a plan, a strategy to minimize the damage. I see you shaking your head. A plan? A strategy? Come on, Ter, we know all that stuff. Avoid alcohol. Eat the raw veggies instead of the chips. Yep, we do know all those ideas and I have followed them faithfully and still come up on the wrong side of the scale on New Year’s Day. So my strategy this year involves two basics. First, I will plan and execute Perfect Days. I have already printed out blank calendar pages for the weeks beginning with Sunday, November 23rd and ending on Saturday, January 3rd. I filled in the dates I know will be a problem for me: Thanksgiving, Christmas Eve, Christmas Day, New Years Eve, New Years Day. I called two friends who throw holiday parties I usually attend and, hooray, they already know the dates of their parties. On the calendar they go. Then I looked at my paydays and plugged in my shopping days accordingly. There are still plenty of empty boxes. I picked two each week and labeled them Perfect Days. On those days I will do my maximum exercise and my food will be high quality protein with lots of vegetables and a small portion of fruit. I do this not to give myself permission to pig out on party days, but to ward off any damage I might do while trying to be on my best behavior during social occasions. Second, I will increase my exercise every day. Yes, every single day of the holiday season. I will keep moving. My efforts will be as simple as playing assistant hostess at every gathering. “Can I get you a refill?” “May I clear away your plate?” and as joyful as touring a different neighborhood (on foot) to take pleasure in the holiday lights. On shopping days I will have a large mug of veggie soup right before I leave the house. Then I will take a brisk half hour walk around the outside of the mall before I set one foot inside. I am counting on that combo to energize me to get in, get what I need and get out without needing a rest stop at the food court. As part of my keep moving line of attack, I am enlisting your help. 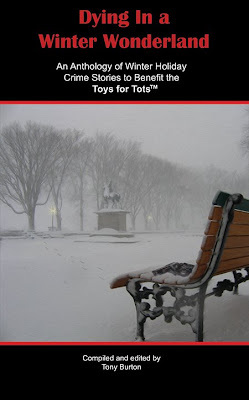 Those of you who visit us over at Women of Mystery know that I am proud as can be to have a story in this year’s Toys For Tots anthology, Dying In A Winter Wonderland published by Wolfmont Press. The anthology is written for adults and every story is light, festive and touches on one or more of the winter holidays: Christmas, Chanukah, Kwanzaa and the Winter Solstice. Each of the stories, the editing service and the publishing service have been donated, so all of the proceeds garnered from sales of Dying In A Winter Wonderland will go directly to the Toys For Tots Foundation sponsored by the US Marine Corps Reserve. Dying in A Winter Wonderland makes a perfect holiday gift for everyone on your list, friends and family alike. With all the proceeds going to provide holiday gifts for children in need, every purchase is a win-win. You can order from the publisher, (see above link) your local bookstore, or from Amazon. For every copy of Dying In A Winter Wonderland you purchase, I will walk one mile between now and the New Year. Just contact me over at Women of Mystery and I will give you the date and time of your walk, so you can cheer me on, or better yet, join me. So, please help me keep on my holiday exercise track, help Toys For Tots provide the gifts that will make the holiday season special for so many girls and boys, and help yourself by stocking up on a present that will be sure to delight. Many thanks to Crabby and Merry for sharing their space with me and the Toys For Tots kids. Good for you, and you have a wonderful plan. What a great idea - to mark the days so you can plan ahead! You should add to your plan that you'll put an apple/baggie of peanuts/whatever healthy snack in your purse for shopping days, that way if it does take you longer to shop and you are tempted to go to the food court you have something healthy to eat. Interesting. I think it would be a lot easier to be 'perfect' if I knew it would only be for one day at a time. I'll have to try this. And I make a "fruitcake" that you wouldn't be able to resist--it has almost no fruit in it (just raisins and orange juice). I love your calendar approach. I think I will have to employ it as well. Thanks for the witty advice and the reference to last years priceless quiz. love all your ideas and especially the assistant hostess one. Thanks, every one for such a great welcome, and thanks to Merry and Crabby for allowing me toe space to pitch for Toys For Tots. I wasn't sure what date Crabby had scheduled this post to show up here at Cranky Fitness, so by sheer coincidence, I have posted a link to DIWW's You Tube video which debuted yesterday. I am glad you like the calendar plan. This will be my first try. Elissa, great idea. I am good at carrying my water bottle, but less good at carrying healthy snacks. Baggie of walnuts will work for me. We will survive the holidays, I promise! Thanks for buying the book. I can walk in your honor on Saturday, Sunday or Monday. If you want to join me, you can pick a time. Otherwise it will be 9 am Saturday, noon Sunday or 9 am Monday, which ever slot you want me to do. I promise to rush to Sylvia's blog as soon as I finish my comments here. A shuttle launch, how exciting! Last years quiz was too good not to bring out once again just like the seasonal tablecloths. Oh yes, I'll have to be careful of that. I can hear me now: "Chug-a-lug. gimme the glass. I just ate a brownie and have to work it off. I live my life with an "you can do anything for an hour philosophy, so a day seems very long to me. Still, we won't know until we try. Thanks for your supportive comments. I am learning very late that life tends not to derail when I plan for the obstacles I can see in the distance. Well, for me, exercising is easier then dieting. Luckily, I don't celebreate Thanksgiving or Christmas the way most families do. But, Indian s have our own hoidays, and there's just as bad in terms to rying to stay healthy. I've found that If I just ride through it, stick to my exercise schedule, and keep the eating in moderation, I'm good. As long as you've got the weight lifting and metabolic conditioning workouts in your plan, you're good to go. However, the biggest mistake people do is double up on the cardio. That's stupid. OH, I have to admit - the moment I saw the words 'Perfect Days' I started thinking..... um.... nope this sounds unrealistic from the get-go. I'm a striving imperfectionist because I believe that only machines have that thing called zero defect. But hey, this does sound like a workable plan! 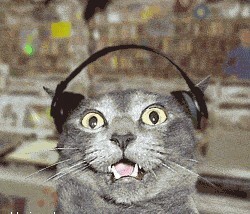 PS - though I had a blog on here for a while, I have shifted my blog to HERE. Terrie- I love your ideas of Perfect Days. Not as an indulgence bank, but a reminder not to go off the deep end and remediation of predictable gluttony. And if I've planned it in advance, it's a little more likely to happen than if I just wake up and ask myself if it'll be a perfect day. And an extra mile for every copy of DIAWW? Hope you got your sneakers retreaded! All holidays come with built in problems. Too much food and too much sitting usually comes with the territory. I'm with you about perfection. I don't even like the sound of the word. Maybe we could come up with another name for the good exercise/good food days. Let's all think about that. Thanks for stopping by and thanks for taking care of my pal, Melissa's order so promptly. I left a comment for Sylvia. Her blog is very funny. Sounds like she's loving her trip. These are the ideas of a desperate woman who has never once won the holiday derby. I decided to plan rather than take it as it comes and see what happens, because what happens is usually not that terrific. Not to worry I have three pairs of sneakers. I am ready! Great guest post. And I didn't know about the book, so thanks! As a writer I should have been able to come up with a better word than "perfect." It irritates us all. It's so nice that you find the book interesting. There is a You Tube video (see link over at women of mystery) which really shows how much fun the book is. Alas...we have our thanksgiving before halloween, so it's all out christmas razy as soon (if not before) as halloween is over. I say egg nog in mid Oct this year...crazy. I'm currently on a lose 5 pounds by christmas quest...so I can gain it back over the holidays. Despite my annual resolve to get through the holidays unscathed, all those glorious cookies always do me in. And dang it, Geosimon, why'd you have to mention eggnog? Love the pre-planned "perfect days". So much less hate-yourself-stressful than thinking you're going to have a "perfect season". Thanks! That's right! In Canada thanksgiving is in October. so you have Thanksgiving dinner, dessert at Halloween and then it's one big party! Good luck with that five pounds. Year ago, as my friends and I were sitting around moaning about our weight, the thinnest of all said, "Aw, come on, does anyone ever actually have a perfect day?" The phrase stayed in my head. If I only have to do one...or only a few. You are so right. Nothing better than not having to struggle all season long. Clare just commented over at women of mystery that she ordered DIWW from Amazon, and she is demanding her mile. I'll certainly be lifting knees and pumping arms this weekend. My plan for the holidays? Not stress about it. Eat what I feel like eating, and move along. Planning and stressing just puts all the focus on what I'm eating, rather than who I'm with and what I'm doing. Thanks for an excellent point. That is exactly why I've tried to take food and planning out of the equation on the really special days. It is a great plan, Terrie! I love that you calendar it so no putting off until tomorrow. Your shopping plan is aggressive, especially in NY where walking outside the mall would be, shall we say, "brisk"? Yep, I have high hopes for this season. I want to write it down, pick my days and just do it!! No fuss, no muss. Well, my day as guest blogger here at Cranky Fitness is over. I had a great time. Many thanks to Crabby and Merry for their graciousness in allowing me to talk to you all about my holiday plans and about the Toys For Tots book. I'll be seeing you in the comments here at Cranky Fitness, and please stop by Women of Mystery any old time as we really love company.